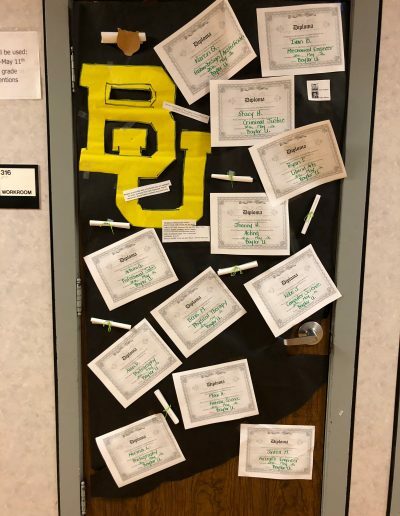 Recently, our students and staff celebrated “Education Go Get It” week. 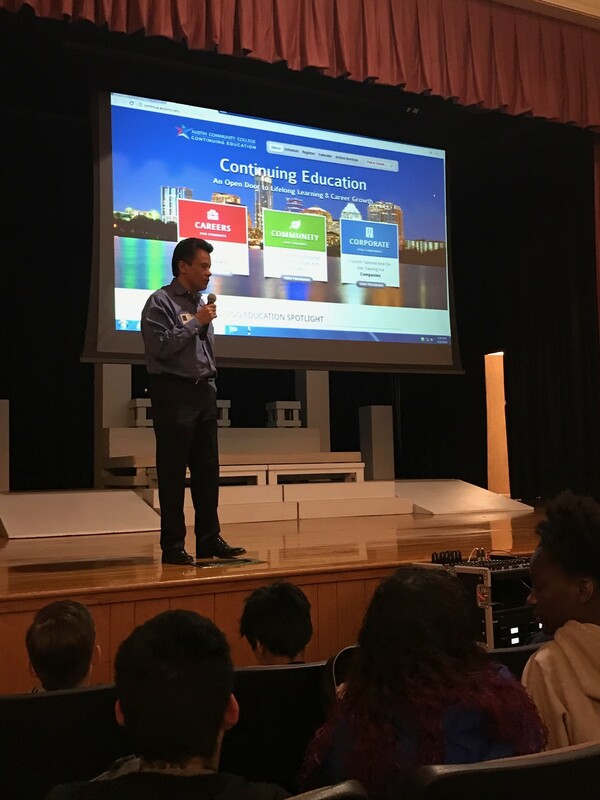 Dr. Hector Aguilar, Dean of Continuing Education at Austin Community College, spoke to students Friday morning. 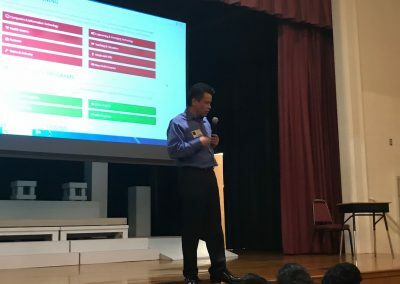 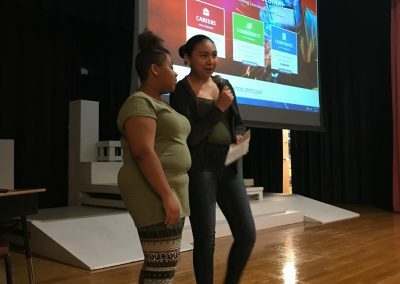 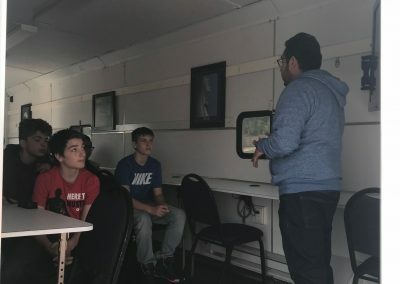 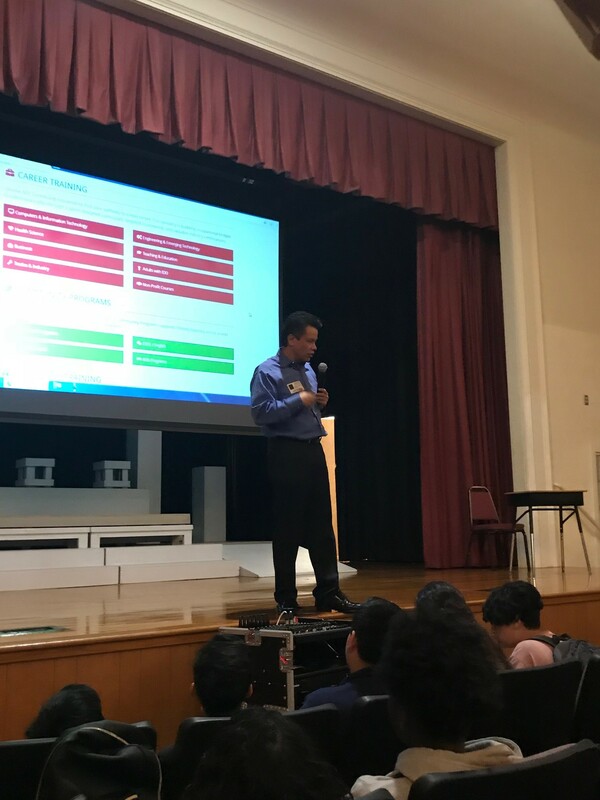 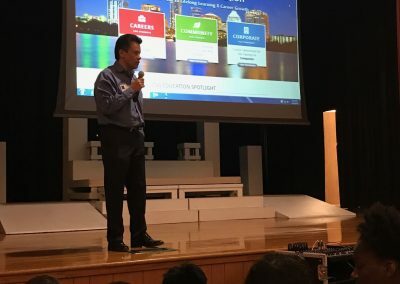 He presented information about taking advanced classes in middle school and high school so students could prepare for college. 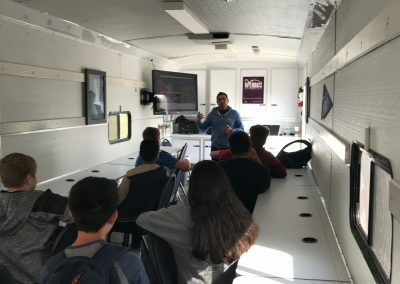 He encouraged students to research careers and the job market to make sure there were jobs out there for the degree they wanted to earn. 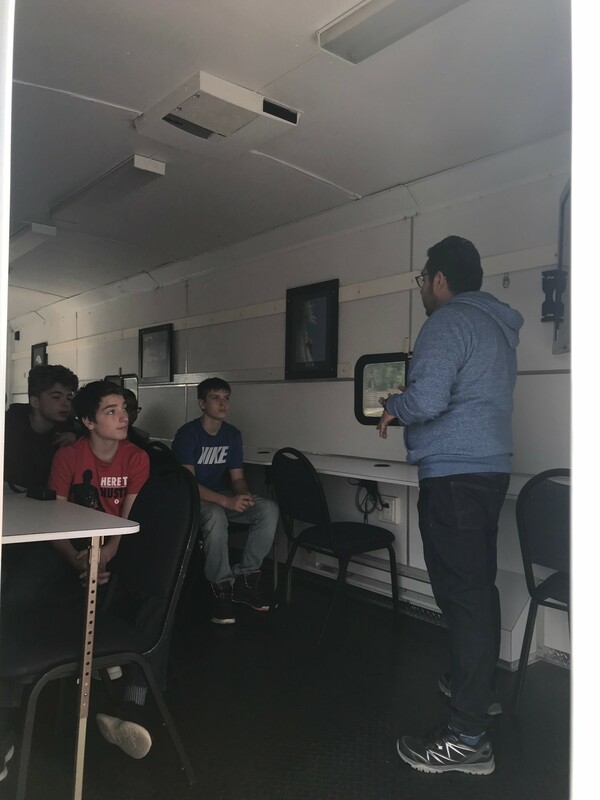 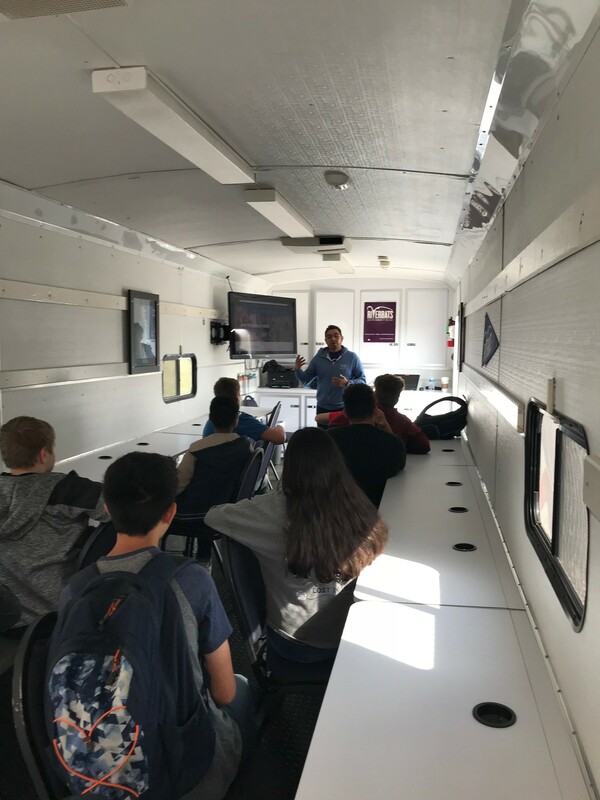 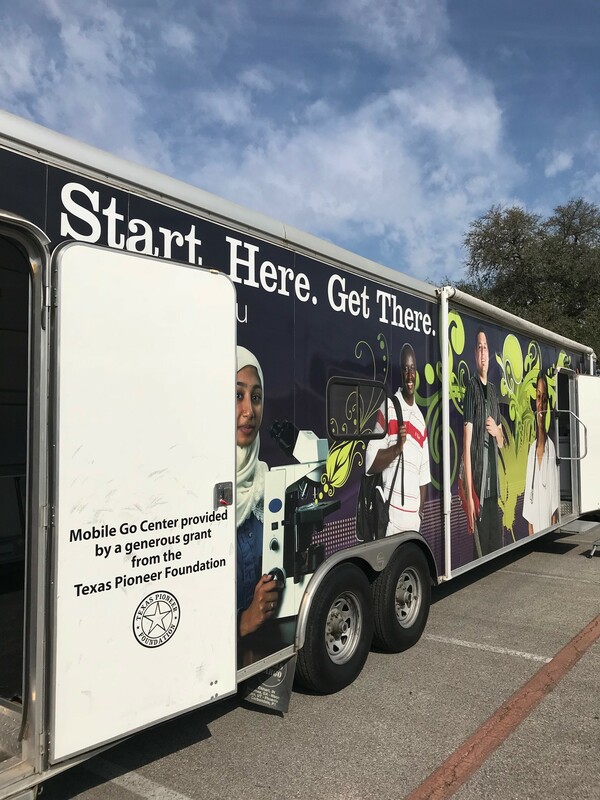 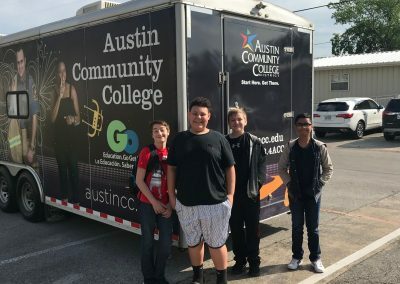 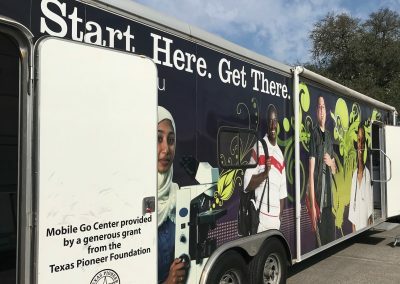 Dr. Aguilar brought the Austin Community College Mobile Go Center with him on his visit to CDFMS. 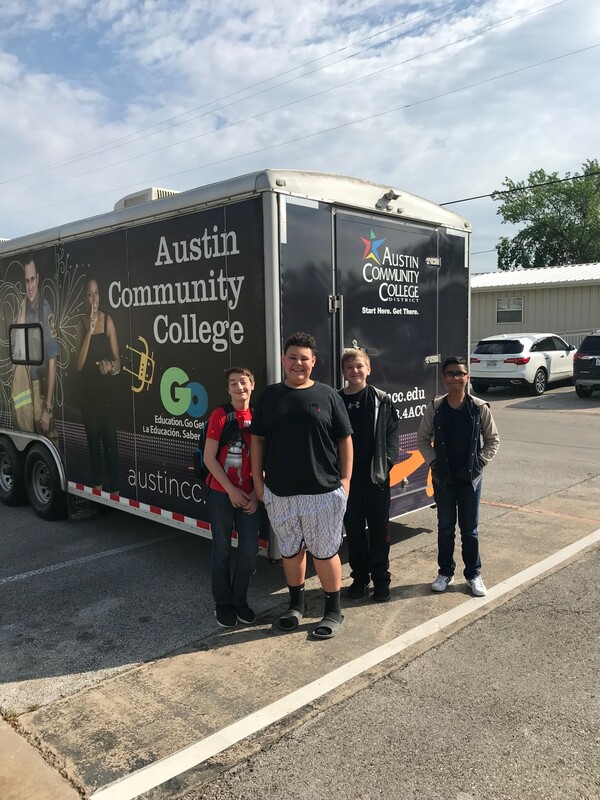 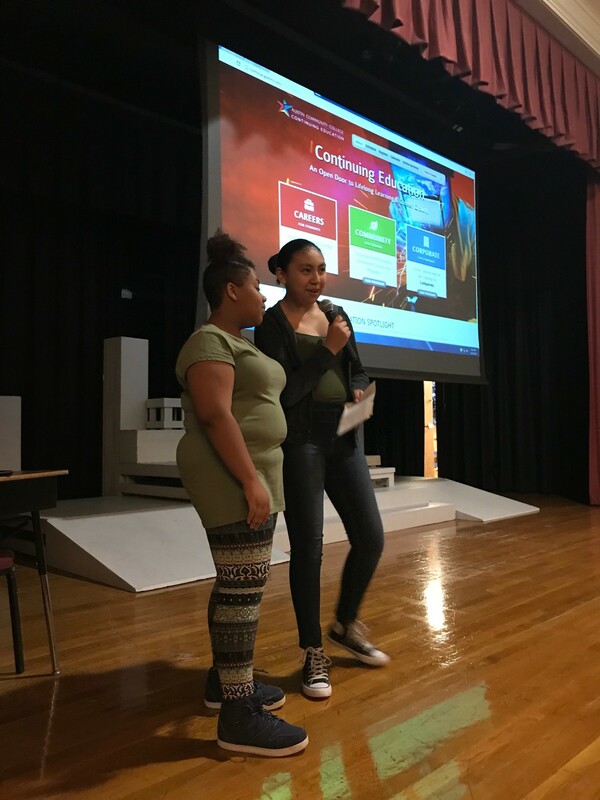 ACC representatives shared information with students about Texas post-secondary educational programs and degrees, registration and admission, and financial aid. 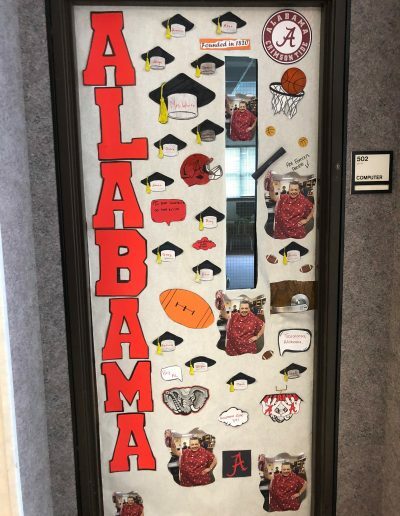 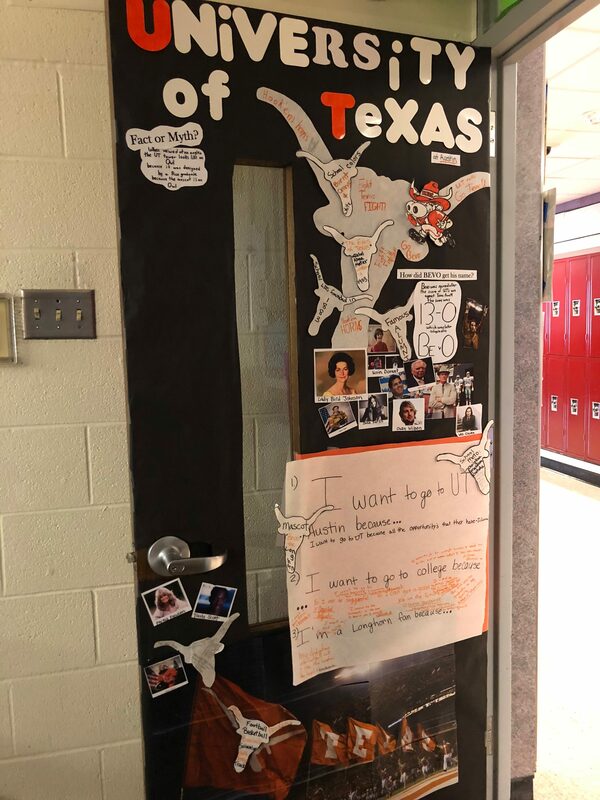 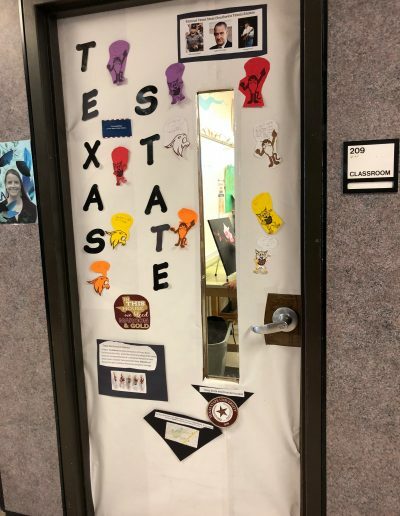 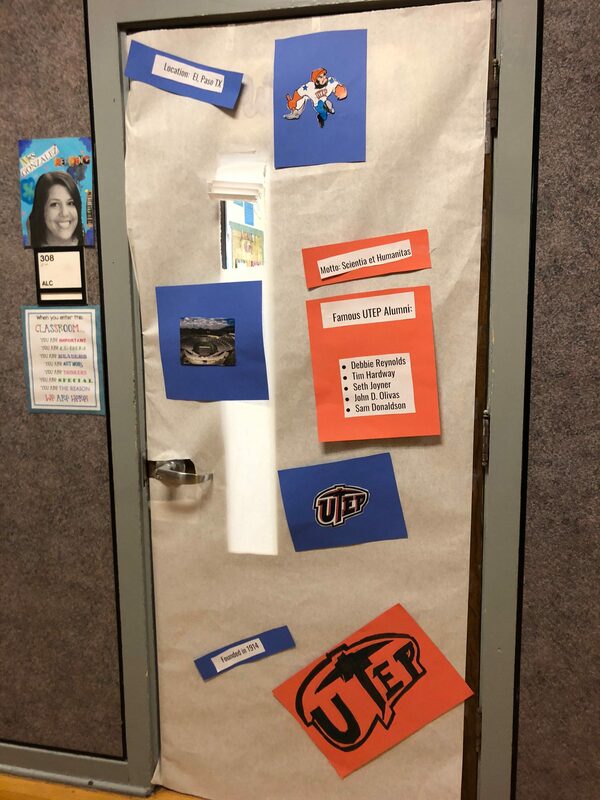 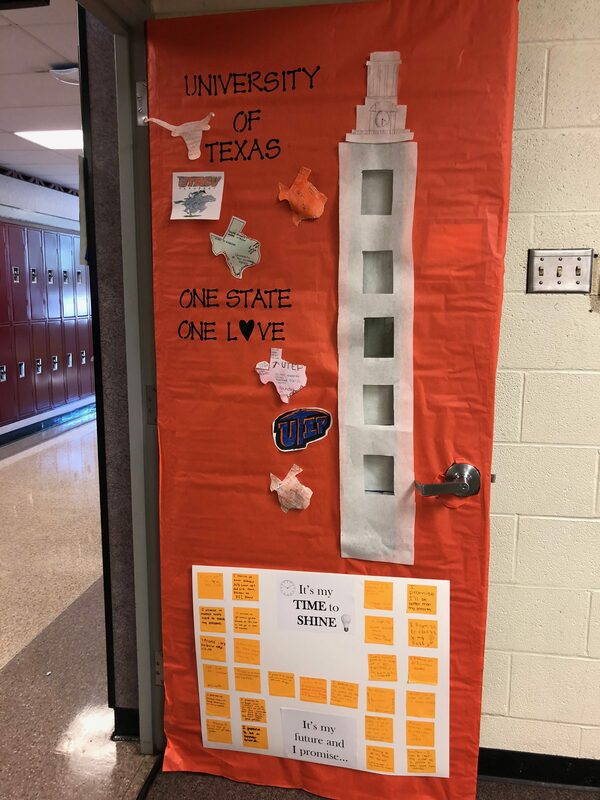 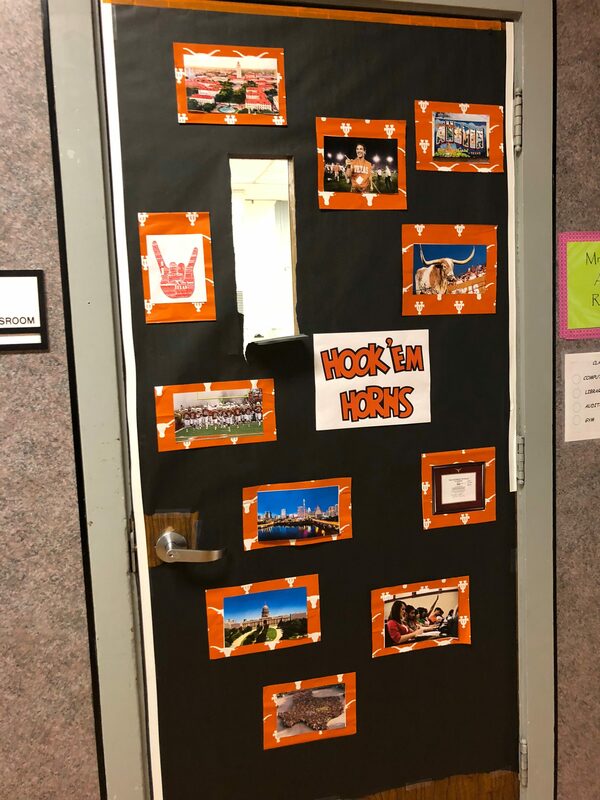 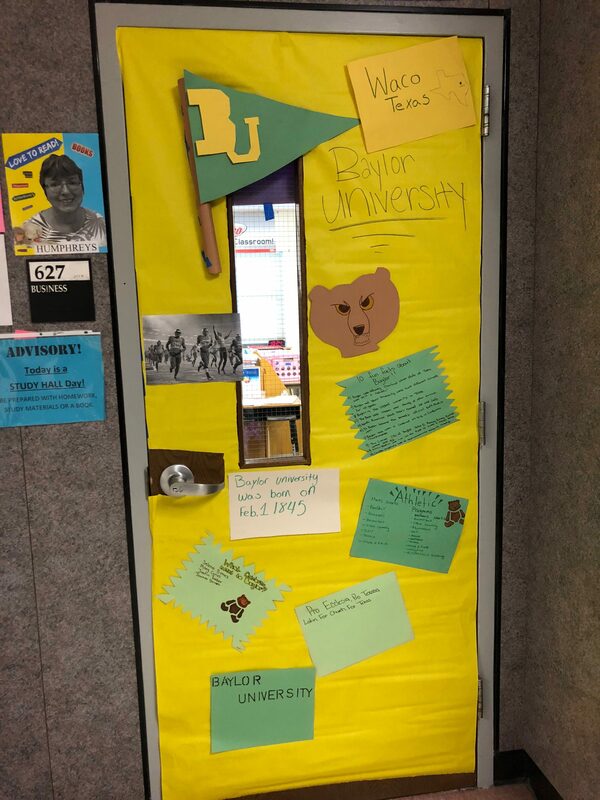 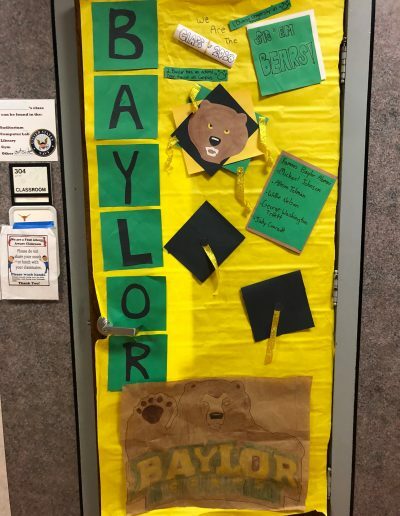 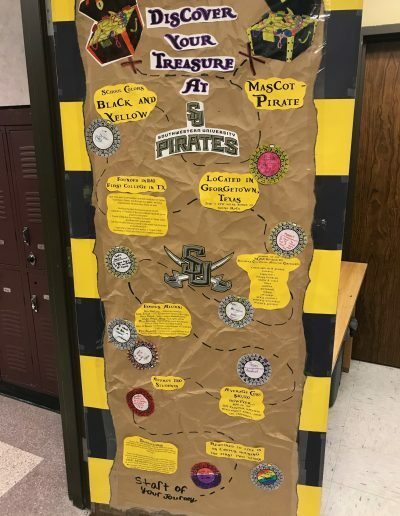 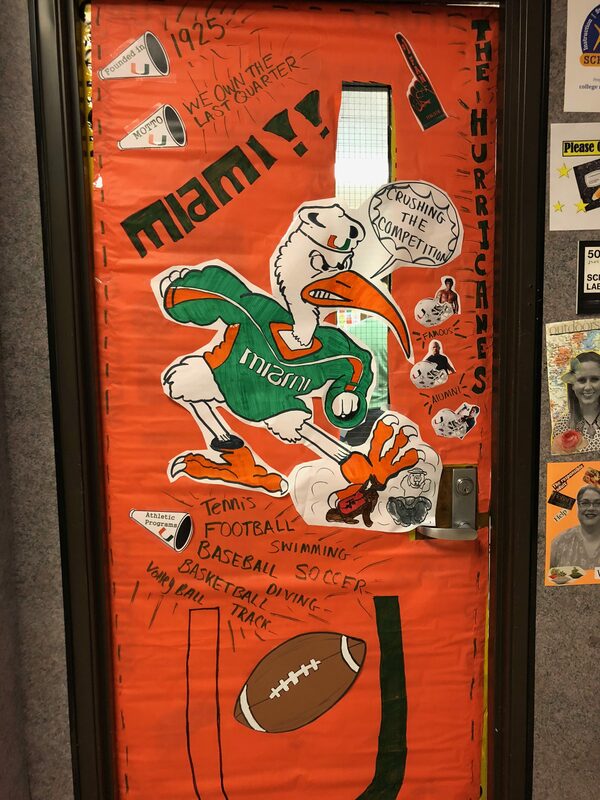 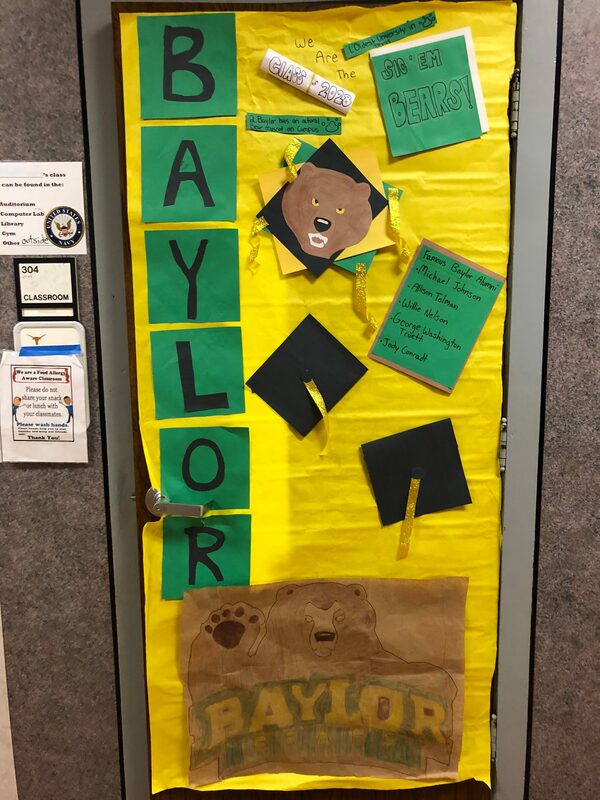 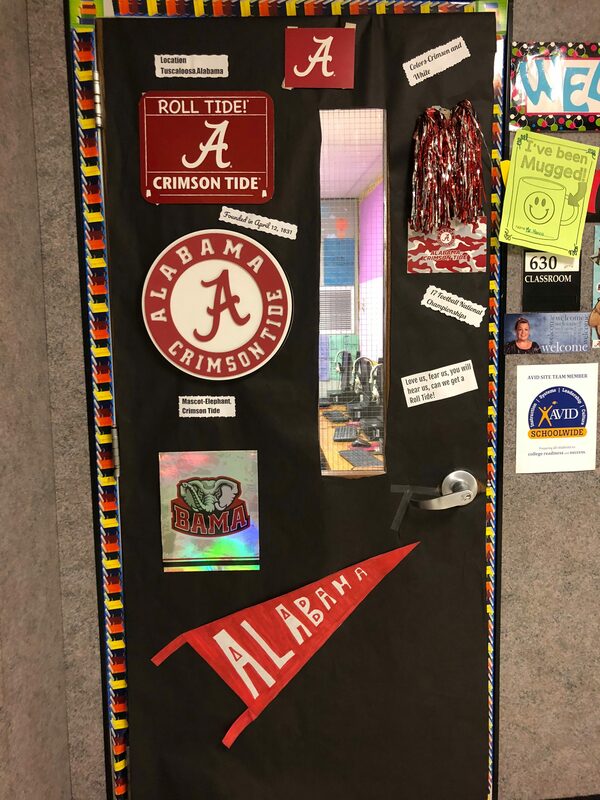 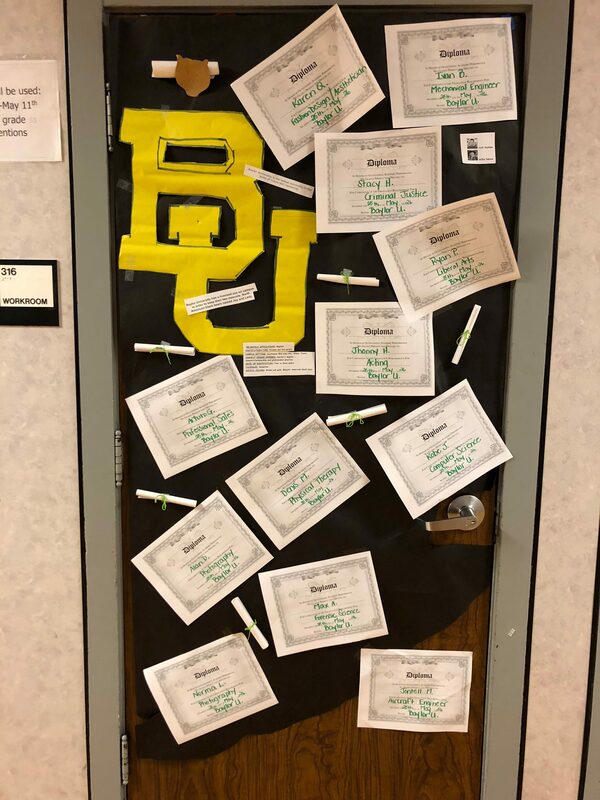 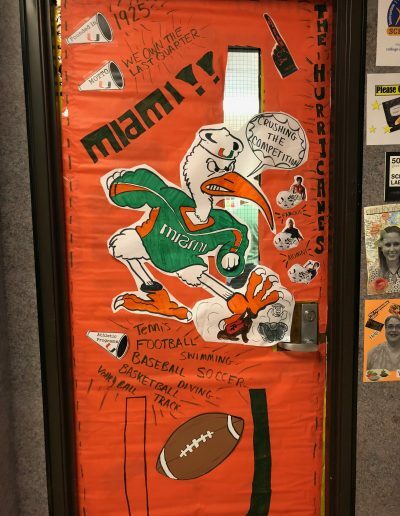 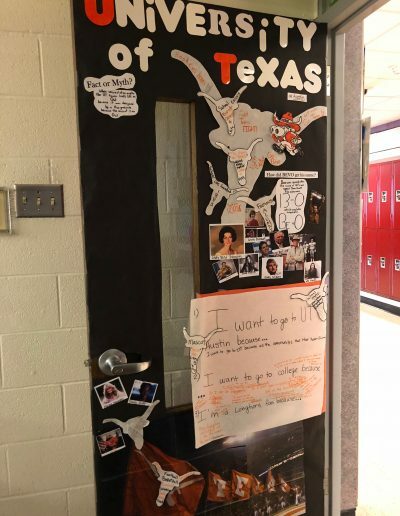 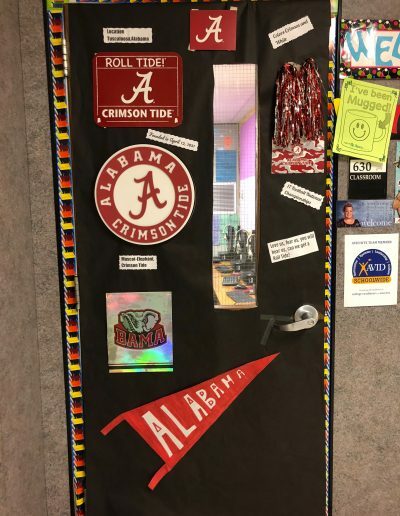 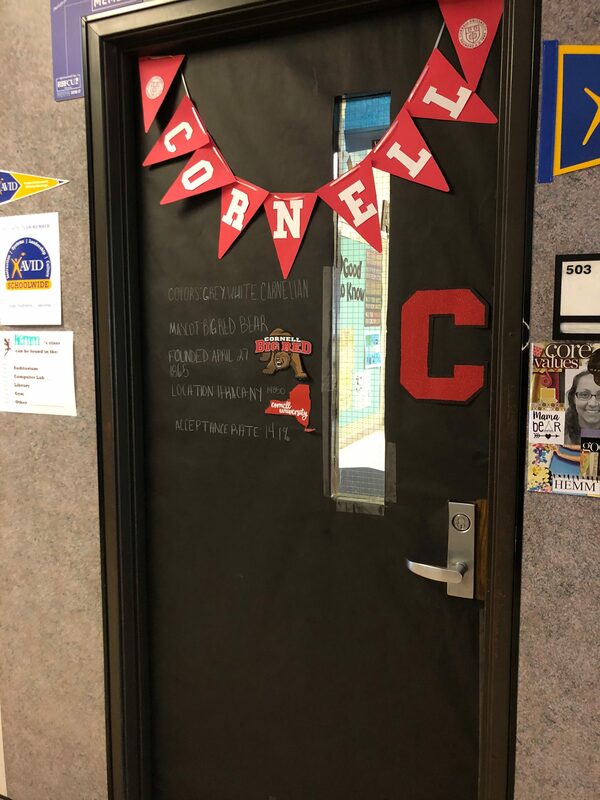 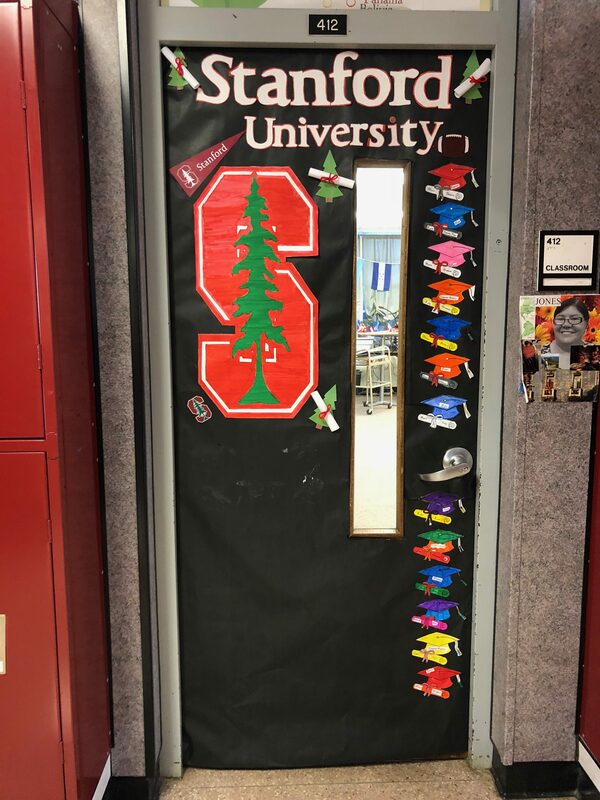 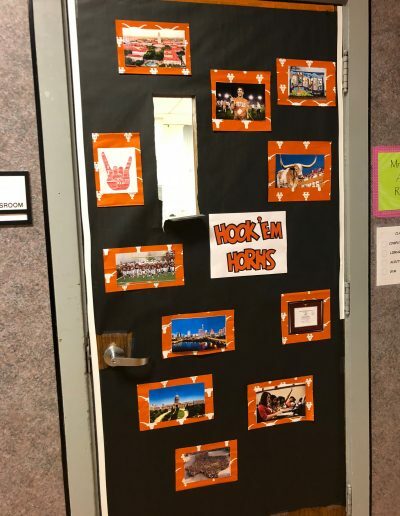 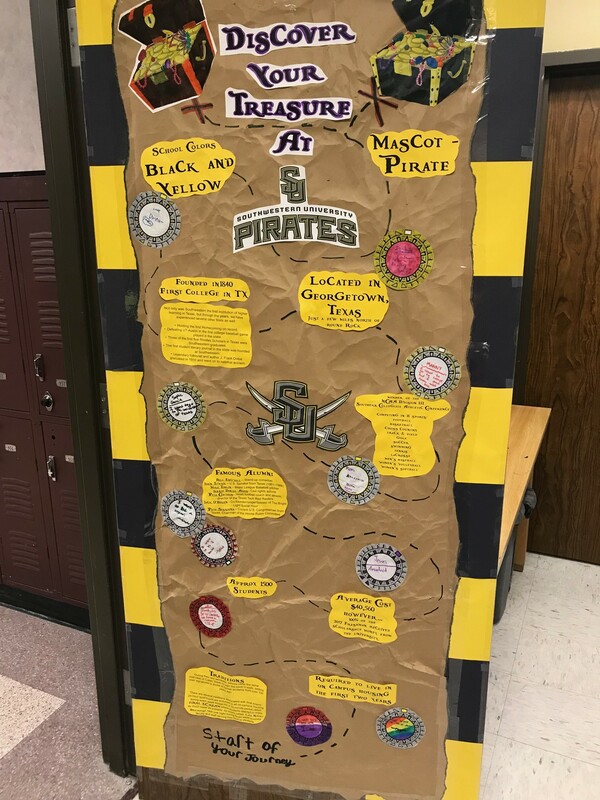 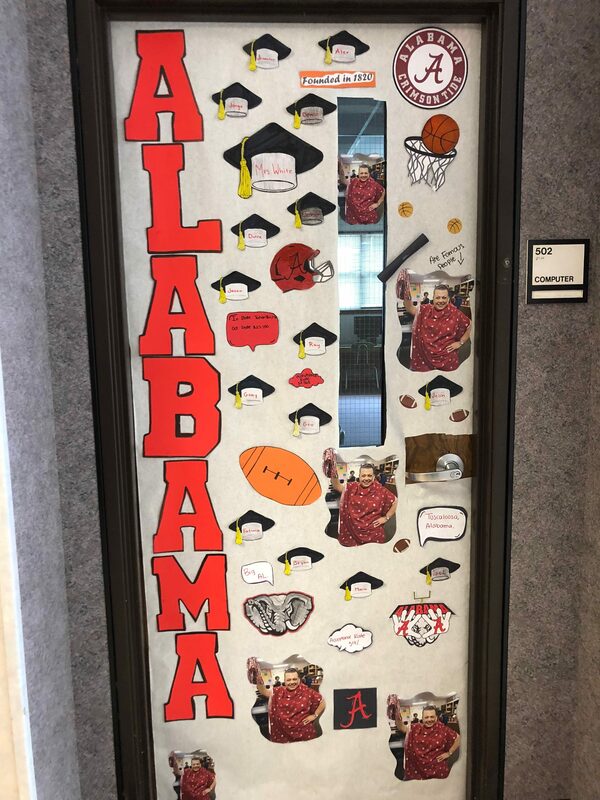 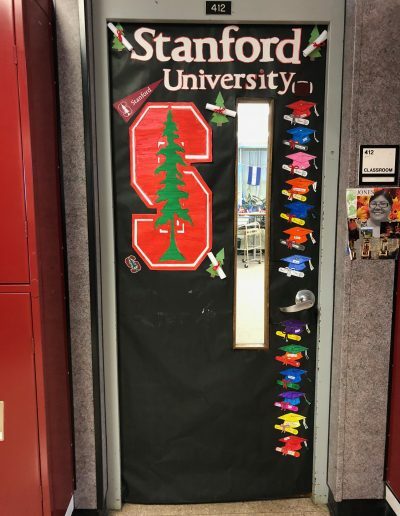 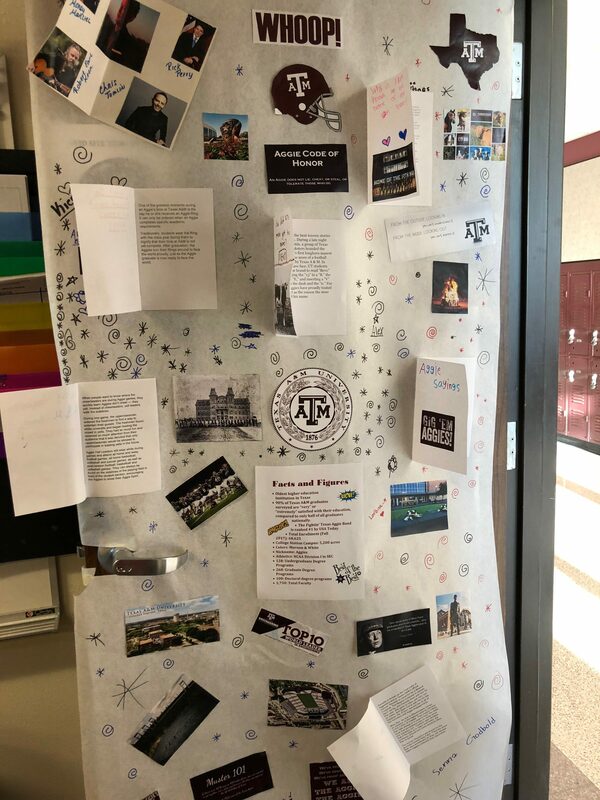 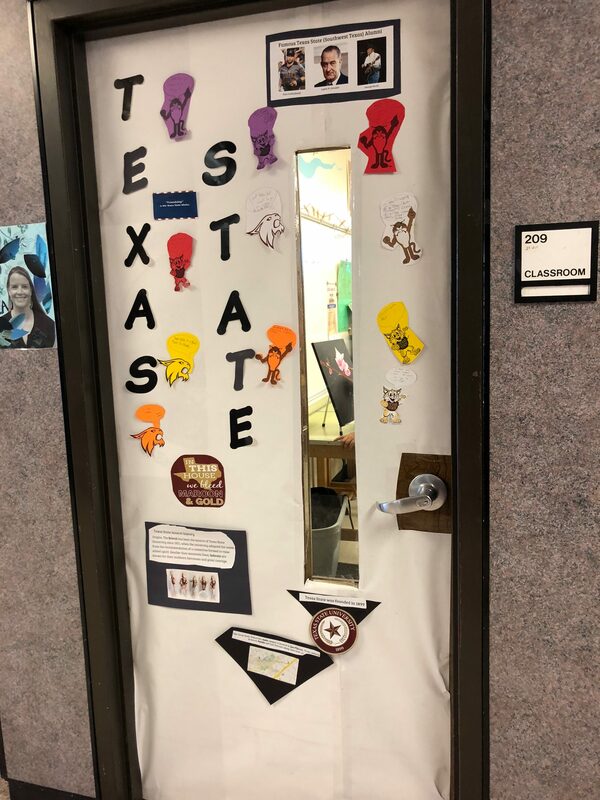 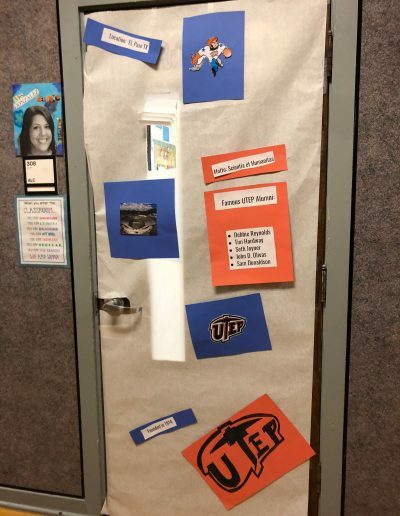 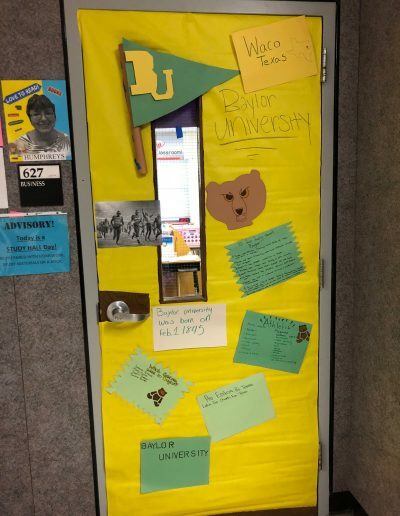 In addition to the information presented by ACC, advisory classes held a door decorating contest. 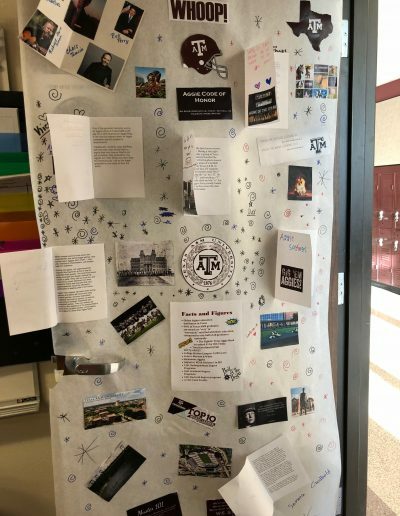 Check out some of the entrants and the winners below!